Goji berries are one of the top superfoods for a good reason. Not only are they loaded full of antioxidants and benefit the immune system, they also are effective against cancer in the body, prevent fatigue and improve eyesight. 1. 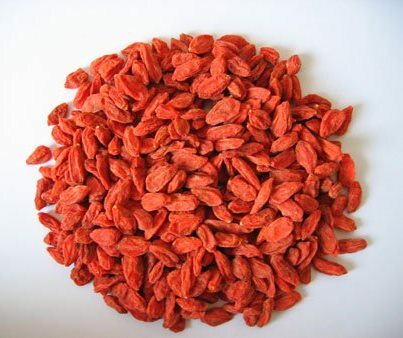 Goji berries are rich in antioxidants like carotene and zeaxanthin. These carotenoids not only protect the retina and work to heal it, they also massively improve eyesight when taken on a regular basis. If you are looking to maintain good eyesight into old age or to improve poor eyesight, Goji berries are the perfect superfood for you. 2. Goji berries have polysaccharides that work with the pituitary gland and stimulate it to release HGH, The Human Growth Hormone. This hormone is what controls the effects of aging and can make the body act and look younger. 3. 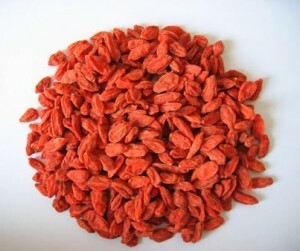 Goji berries are very effective in protecting both the kidneys and liver from disease and boost the immune system. 4. Goji berries have a high ORAC value which helps prevent oxidation and also decreases aging by preserving the cells in the body. 5. Most fitness experts will recommend consuming Goji berries daily and in smoothies or as snack to a meal because studies have shown it to help greatly in weight loss and in keeping the body youthful and looking young. 6. Studies have shown that Goji berries reduce fatigue and improve circulation greatly. 7. Because of their high mineral and vitamin content, Goji berries reduce cholesterol and blood pressure. 8. Research has shown that Goji berries not only enhance the sexual function in men, but also are good for enhancing fertility in women.